It is hot, hot, hot in Kansas City! As I stay inside in the air-conditioning, I am loving trying new products that make my skin — face and body — look great! This week my faves include an unscented body lotion, hand scrub, a luxe serum and a CC cream that adjusts to my skin tone. 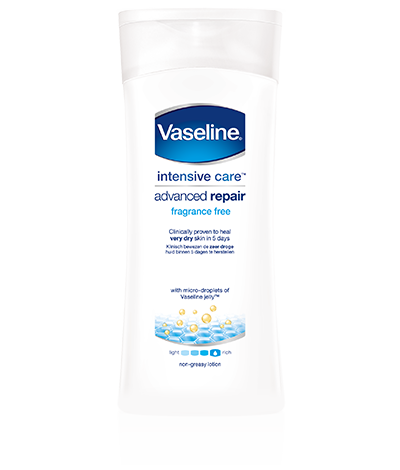 Vaseline Intensive Care Advanced Repair Fragrance Free ($3.49 USD) –It all started with a wonder jelly that Vaseline has been perfecting for 140 years. Today, micro-droplets of Vaseline jelly help power their Fragrance Free Body & Face Lotion. It absorbs deeply into skin, moisturizing to heal it from within (within stratumcorneum).Clinically proven to keep skin healed for 3 weeks (based on 4 week treatment clinical study).Moisturizes to relieve itchy dry skin.Appropriate for sensitive skin. Fast absorbing + non-greasy. This lotion was nominated for a 2015 CEW Insiders’ Choice Beauty Award! What I think: I love how velvety this lotion is. It absorbs right into the skin and is not greasy at all! And, it is perfect for those who do not like or are allergic to fragrances. It is an affordable way to keep your skin hydrated this summer. Available at mass market retailers. Rituals Silence 3 in 1 Miracle Hand Scrub ($19 USD) — A luxury hand scrub for daily use, which deeply cleanses, refreshes and softens your hands. Enriched with nourishing oils that are easily absorbed by the skin to restore suppleness and moisture balance. Combines the relaxing fragrance of White Lotus with the nourishing properties of Yi Yi Ren, an ingredient traditionally used in Chinese medicine. What I think: First of all, I love the White Lotus scent. It’s a soft, calming scent. The scrub is very gentle, but softens hands nicely. I love to use this once or twice a week. In the summer, it is also great for after I self tan. Estee Lauder Re-Nutriv Sculpting Finishing Dual Infusion ($360 USD) — Rare discovery. Rare luxury. This groundbreaking infusion helps energize the 100 million skin cells on your face for a firmer, more sculpted, refined and luminous look. Black Diamond Truffle, one of nature’s rarest treasures, is transformed through a secret process into a pure, precious extract. 10,000 hours in the making, it is a potent energy infusion for your skin. In the golden vial, Black Diamond Truffle Extract and our most advanced youth-sustaining and lifting technologies. In the platinum vial, a blend of high-potency skin refinishers and radiance enhancers. In a moment of pure power, both elixirs come together to transform every facet of your appearance. 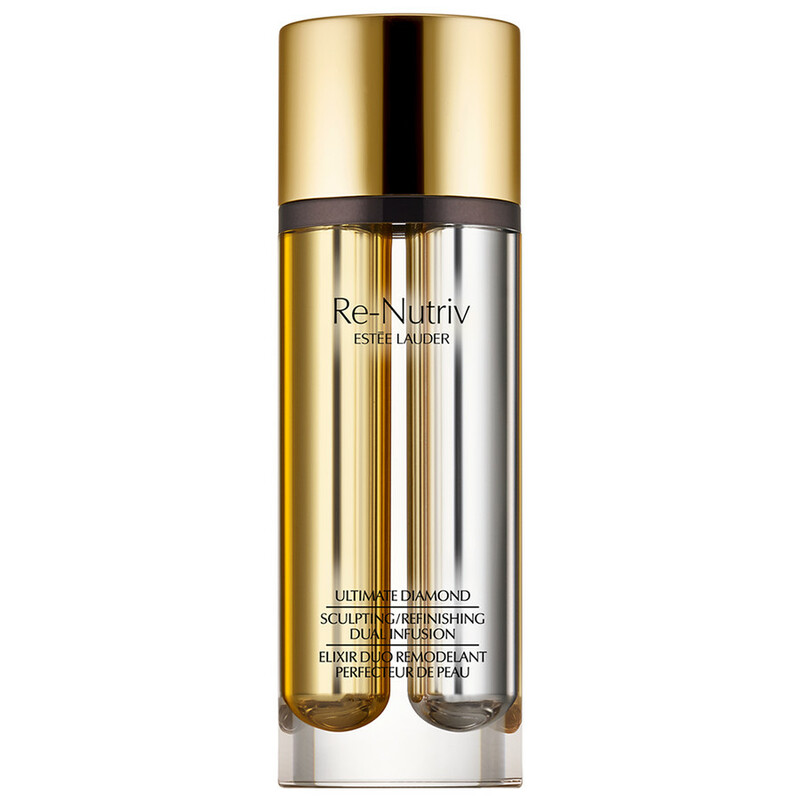 This serum is so highly esteemed was nominated for a 2015 CEW Insiders’ Choice Beauty Award! What I think: Such a luxurious serum. You can use this twice a day, but at least use it at night, you wake up with refreshed, radiant skin! I love how the serum sinks into the skin and leaves a lovely glow! I have noticed that my skin looks smoother and firmer. Available at fine department stores and http://www.esteelauder.com. 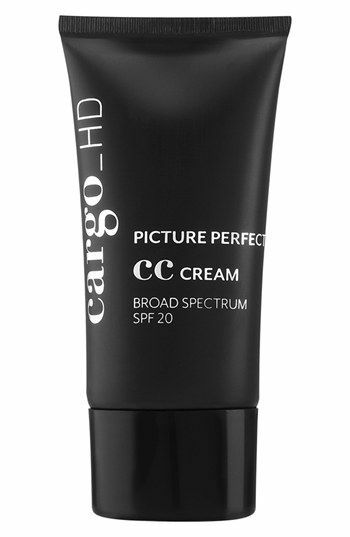 Cargo Cosmetics Picture Perfect CC Cream ($39 USD) — With broad spectrum SPF 20, it not only hydrates, but protects the skin from the harsh sun for up to 72 hours of skin hydration! The CC Cream goes on white and adjusts to your specific skin tone as you rub it in! This all-in-one cream features innovative color adapting pigments and color correction technology that delivers soft, even, and undetectable coverage. Available in three shades: Light, Medium and Medium/Dark. What I think: I love foundations that adjust to your skin tone. It makes it so easy to match the shade exactly to my skin. It looks very natural on and gives good coverage. Plus, I love that there is SPF 20. Previous postLast Day To Enter My Cetaphil Product Giveaway!